Jem® - What’s Next In the Premium Beef Series? What’s Next In the Premium Beef Series? 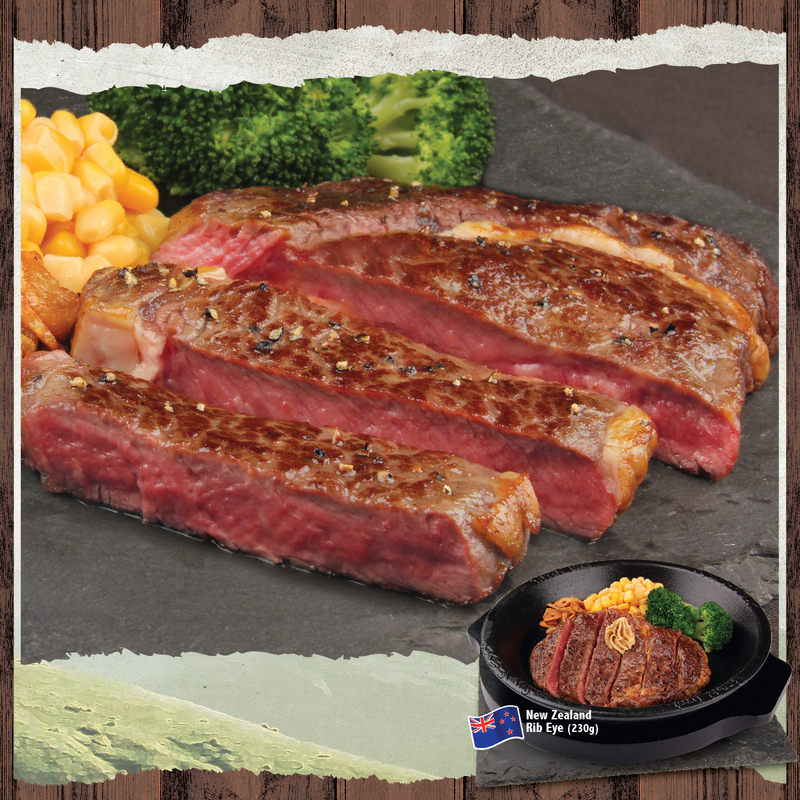 Savour nature’s goodness with this well-balanced in flavour and popular steak cut. A drizzle of our signature sauces and a dash of freshly ground black pepper atop of the steak are all you need to bring out nature's best with this quality grass-fed New Zealand Angus Rib Eye. Available at Pepper Lunch Restaurants from 4 April 2019 at $19.90 for a limited period only. Visit them at #04-10/11/12.